Follow me on Instagram HERE for my most recent work! Read my Yelp reviews HERE! My style is relaxed and minimalistic. I prefer to capture your family as you are, in this stage of life. I don’t use many props, I want to keep the focus on what matters. Let’s document your baby’s wobbly first steps, your child’s two front teeth missing, the chaos of a family session with your stubborn toddler, all the things you’ll want to look back on and remember. I love interaction, so by all means, play with your kids, squeeze your spouse, laugh with your loved ones. I aim to capture reality. I don’t put a strict time limit on sessions, though a typical session will last an hour. (Newborn sessions can last 2-3 hours.) Images will be fully edited, and placed into a password protected gallery for you to view, download and share within 14 days of the session date. **Outdoor sessions begin roughly one hour before sunset. I suggest maternity sessions to take place between 30-36 weeks. In my opinion… bigger is better! I love a nice round belly for pictures. Why not capture the full potential? There will be plenty of time to change clothes if you’d like. I have several website suggestions for maternity dresses if you need some help shopping! Maternity sessions usually take about one hour. Let’s capture every bit of your brand new bundle in a sweet and simple way. Newborn sessions ideally take place in the first 2 weeks of life. After the first couple weeks, your baby will not only have changed considerably since birth, but he/she will become much more alert during the shoot if you’re looking for those sleepy squishy posed photos. 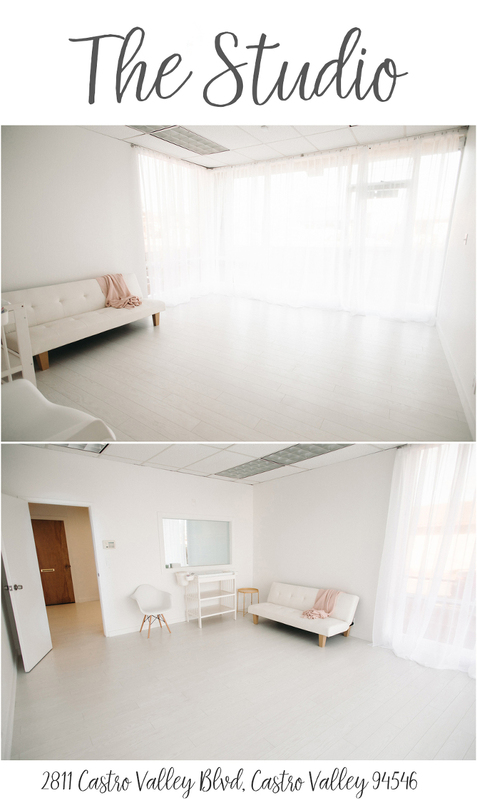 Session will take place in my natural light studio in the East Bay (Castro Valley, 94546) or in your home. Parents, siblings & pets are included! Newborn sessions last between 2-3 hours. Quite possibly my most favorite moments to capture are those shortly following the birth of a new baby. The atmosphere in the hospital during those first couple days is like nothing else; overwhelming joy and love for the this new little person. Along with joy and love, comes exhaustion. Trust me, it’s all a blur! Your baby will change drastically that first week. You’ll be so glad to have nice photos of baby in their first environment. Let’s have FUN! Come prepared to play, laugh, move around and have a great time with the ones you love most! Please dress your family comfortably! A child (or husband…) who is uncomfortable in their clothing is going to show that discomfort in the photos. Keep in mind we will probably be outdoors, and possibly sitting in the grass, dirt, etc. I am happy to help with wardrobe choices although I’m unfortunately no fashionista. I don’t put strict time limits on family sessions, but they usually last 45-60 min.